Phillip has over 15 years’ experience as an organisational development consultant, facilitator and executive coach working with public and not-for-profit sector organisations. His work has encompassed strategy, policy and program development, organisational structure, process and capability development, organisational and sectoral change, collaboration and partnering. He is a skilled and creative problem-solver. He has the capacity to engage people at all levels and to facilitate the identification and implementation of practical, forward-looking strategies and solutions. He has practical experience of the dilemmas and complexities facing public and not-for-profit leaders and organisations and has particular experience of working in complex, volatile and politically sensitive environments. He also brings particular skills in the application of developmental action inquiry and facilitation to capability building and organisational development and in helping leaders build their capacity to improvise and innovate in complex and ambiguous situations. 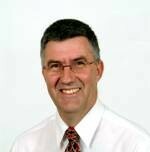 Phillip holds a Bachelor of Arts and Graduate Bachelor of Education, as well as accreditations in coaching, facilitation, leadership development and complex research and evaluation methodologies.